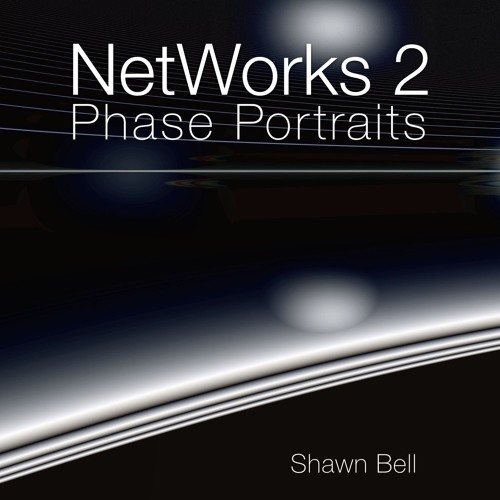 NetWorks Album 2: Phase Portraits Two tracks from the album. The complete 12 track album can be found on iTunes, Spotify, Deezer and Bandcamp: https://shawnbell.bandcamp.com/album/networks-2-phase-portraits Constraints on the connections and interactions between the entities of systems are central to what defines them. This is true of the interactions between the entities that make up matter, cells, societies, ecosystems, planetary systems and so on. It is also true for games and art. Constraints are what define, and how we recognize, musical genres and are key in the process of creation. The music on “Phase Portraits” are instances of the diverse, self-organizing musical forms that information sharing over simple networks can produce. NetWorks represents six years of programming and tuning a network of 64 nodes that share music performance data including pitch, duration, velocity, and entry delay (entry delays result in rhythmic patterns, motives and larger scale structures such as phrases and sections). Articulations such as legato, staccato, etc., as well as pedalling and various synthesis parameters are also often determined by the network. NetWorks has been “tuned” to generate patterns at "the edge of chaos,” that is, balanced between variety and harmony (through repetition, for example). Although not explicitly programmed, one can often hear motives that repeat, vary, develop into melodies, diverge and return, all through the simple interactions between nodes. If constraints define genre, NetWorks is a search for new genres and cross-genres. To modify a phrase of Christopher Langton’s (a pioneer in the field of Artificial Life), NetWorks is the study of “music-as-it-could-be.” The approach taken to mapping the patterns to sound is to ensure their clarity, not to obfuscate them by complex synthetic textures or other effects readily available during mixing, for example by applying an echo effect. No notes were harmed in the mixing of these pieces! Since the music of NetWorks is self-organizing, sampled instruments were often chosen to include the “human touch.” The NetWorks network of 64 nodes is infinitesimally minuscule compared to natural networks, and five years of “tuning” and exploring some of its possible architectures and their musical potential is hardly a beginning. The sounds chosen to manifest the musical patterns discovered by the network attempt to reflect the mystery and wonder that virtually unlimited diversity can come from such small beginnings and such simple models of interaction. "Phase Portraits" is good for focused listening, ambience, a background for work, mediating and falling asleep. A decent pair of headphones is recommended for focused listening.